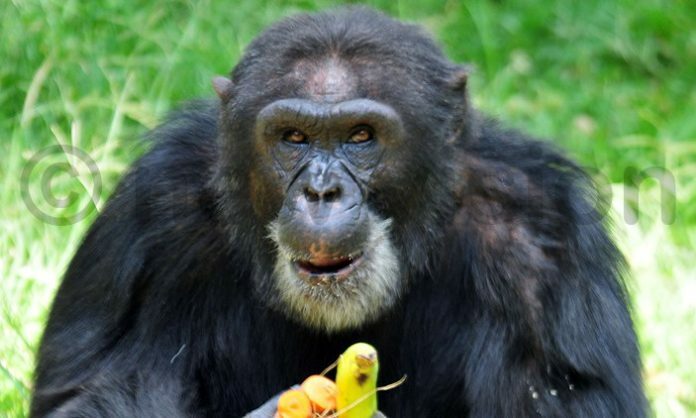 Thursday was a black Thursday for the tourism industry and Uganda as a whole after the untimely death of the popular and oldest Chimpanzee in the country nicknamed Zakayo. It is a big bro to the tourism industry of Uganda since Zakayo has been one of the major tourist attraction which brings hundreds of thousands of tourists both local and foreign. According to the latest Uganda news reaching Flash Uganda Media, Zakayo who turned 54 last year succumbed to infections in the stomach. On June 1964, Zakayo who was aged one year by then was rescued from Bundibugyo by a white man who took care of the little chimpanzee for 14 years. But he later on surrendered and handed it to UWEC in 1976 making Zakayo the strongest male chimpanzee then. 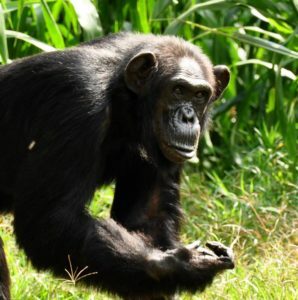 In 2011, Zakayo handed over power to Matooke another strong living Chimpanzee. 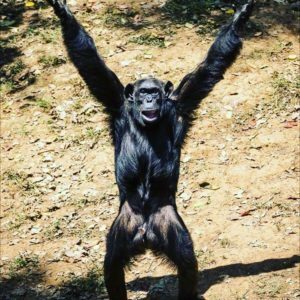 Matooke was however overthrown by a younger chimpanzee called Aluma, who is currently the leader of Chimpanzees in the country. On Thursday 26 Uganda Wildlife Authority with grief declared the death of Zakayo in statement shared on their social media platforms and other Uganda news platforms. “Please join us as we celebrate the life of this legendary chimpanzee who once lived as dominant male and brought up the chimpanzee family at UWEC. He nurtured two Alpha male chimpanzees, Matooke who led the group up to 2013 and Aluma who took over in 2013 up to today. May his soul rest in peace” said UWEC.